You've seen the movie...now read the series! 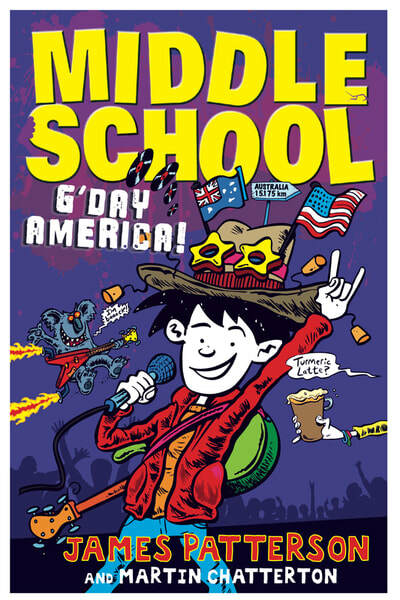 click on the thumbnails for links to where to buy the books...and click here or on the photo to watch the new 'G'Day America' trailer! 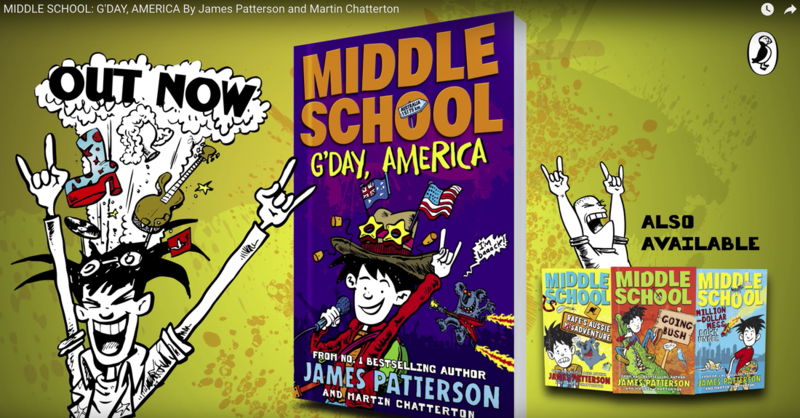 James Patterson's co-written Middle School series is nothing less than a globally bestselling publishing sensation. You may know James Patterson as one of the biggest-selling crime and thriller writers of all time (including one, Absolute Zero , which was co-written with Martin 'Ed' Chatterton wearing his crime-writing hat) . 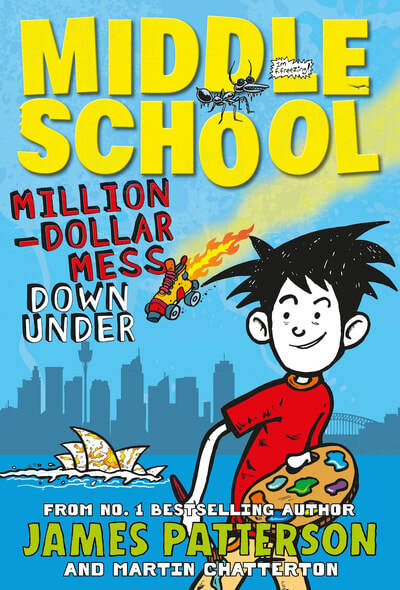 What you may not know is that James Patterson also co-writes hilarious, hugely popular children’s books...many of them with Martin. 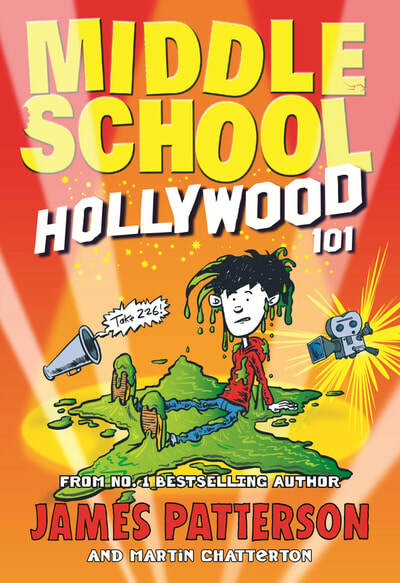 To date, Martin has co-written (and illustrated) five of the Middle School series with more to come. 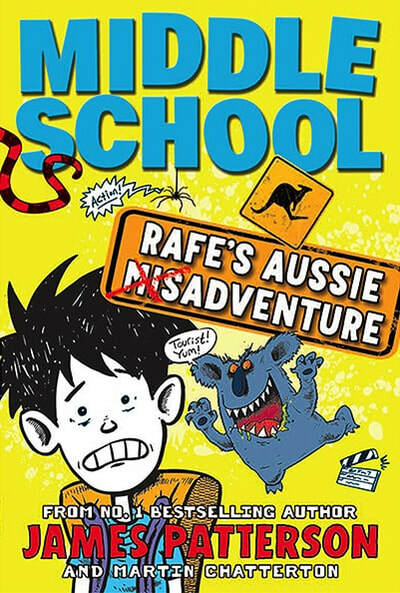 Based in Australia and the US, Rafe's Aussie Adventure, Going Bush, Hollywood 101, Million Dollar Mess, and G'Day America, can be relied on for genuine laughs, compelling stories, engaging characters and real-life problems. 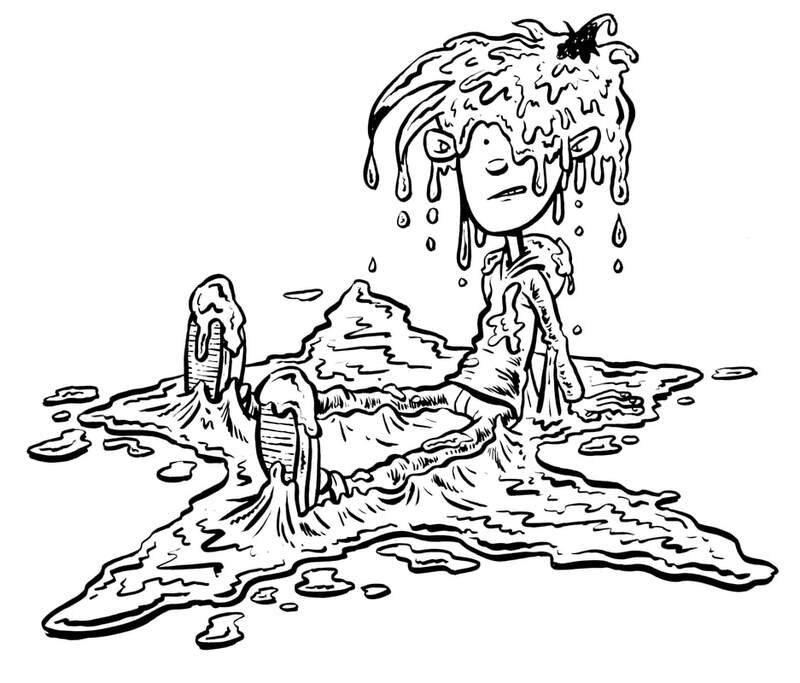 So, if you haven’t already met him, it’s our pleasure to introduce you to Rafe Khatchadorian, the comically tragic star of the Middle School series. With his ‘pukey sister’ Georgia, school bully ‘Miller the Killer’, and the diabolical teacher he names the ‘Dragon Lady’ constantly on his case, it’s no wonder Rafe spends plenty of time in his favourite subject . . . after school detention. Middle School follows eleven-year-old Rafe as he navigates his way through Grade 6, while also juggling a problematic home life. 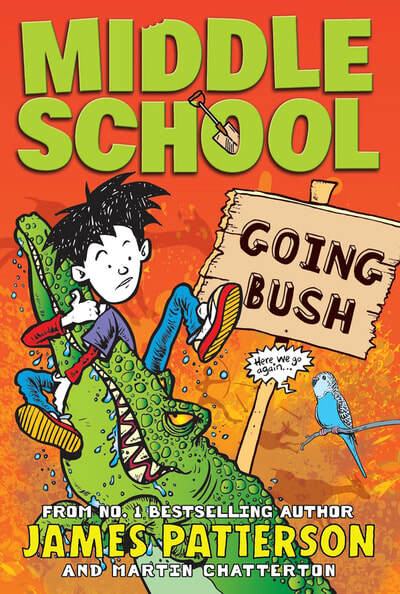 Told from the riotously honest perspective of Rafe, readers really get into the headspace of a young boy who is just trying to fit in and be accepted by others. Watch the trailer below for the Middle School movie, Middle School: The Worst Years Of My Life (CBS Films). 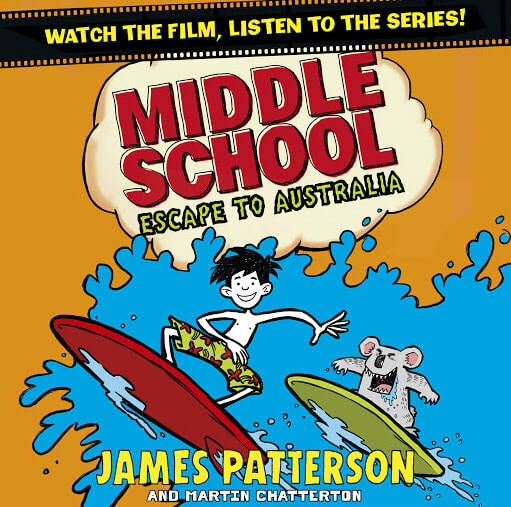 ​More information about the rest of the Middle School series (as well as those listed above) can be found here. 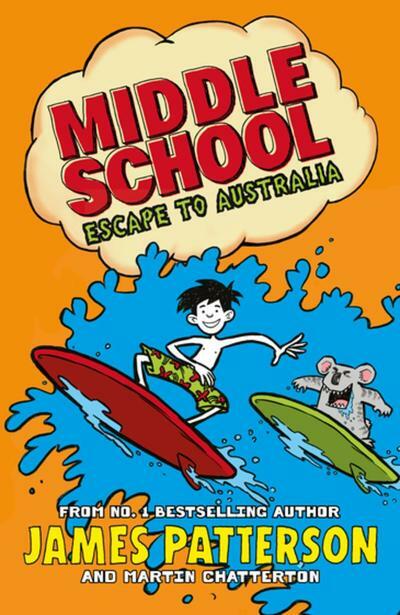 You can now get Escape to Australia (which is the UK title for Rafe's Aussie Adventure) as a terrific audio book read by the hugely talented Michael Crouch. I think he's done a wonderful job! You can hear a sample on the Penguin Random House website by clicking here. If you like what you hear, then click on the cover below to buy. If it's easier for you to buy from audible (UK) then click here.